Hi! First off I would like to thank everyone who read and/or shared my article in Mind Body Green and Mamapedia. The article has now been read in 64 countries and shared nearly 10,000 times. I have received emails from people all over the world and my heart is filled to the brim. I am humbled by your stories and love that you are sharing them with me. I have been meeting the most amazing people in various stages of life who are on the path to fulfilling their dreams…it is amazing to witness. There is nothing that makes me happier than having the ability to inspire. I never thought this would be my life at age 54. Expect the Unexpected. I will as I have said before get back to my literal journey…where I left off as I was going into labor on Halloween night…however I have been a bit sidetracked with the popularity of the article and mostly chasing around my 9 month old miracle baby as she is crawling all over everything and everywhere! What joy to see a child grow – it is magical. So inspiring Kim. You look beaming even if your tired and Sky is just precious. 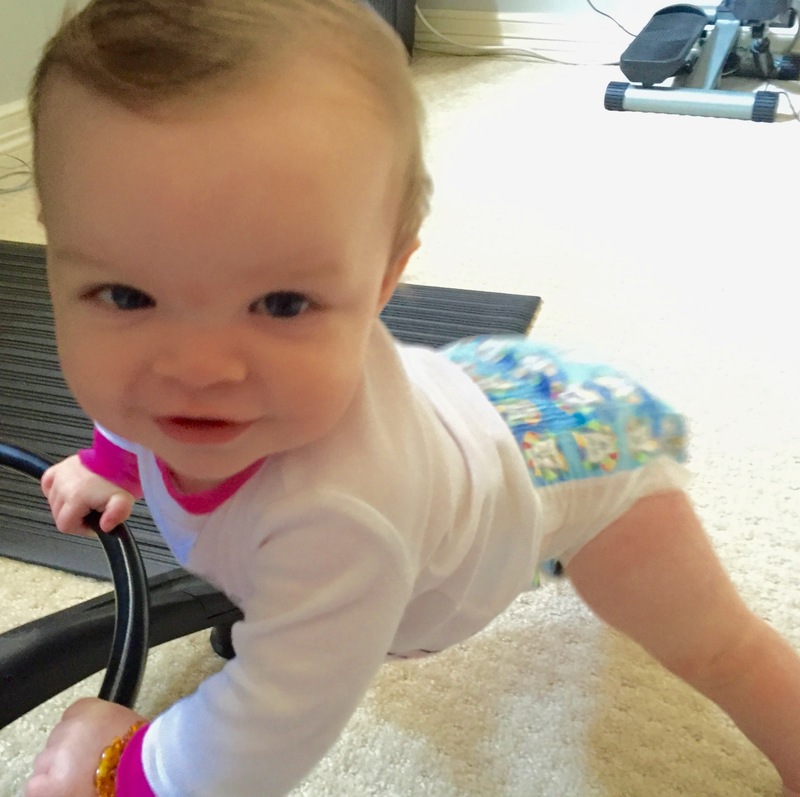 Crawling oh my….looking forward to following you on this journey!! Thank you so much Temy! I look forward to sharing more…stay tuned!